Articles for 02.11.2018 » SoftLab-Portable.com - Portable Soft! 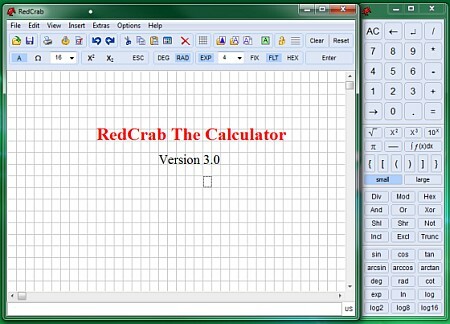 RedCrab is a scientific calculator with a full screen formula editor. The mathematical expressions are not typed in a typical command line, but can be enter in an editor window similar to a piece of paper. The calculator display the result either under or next to the expression. The handling is easier than conventional calculator. The calculator's editor supports the entry of complex algebraic equations like fractions, square roots, exponents, etc. for technical and scientific applications.